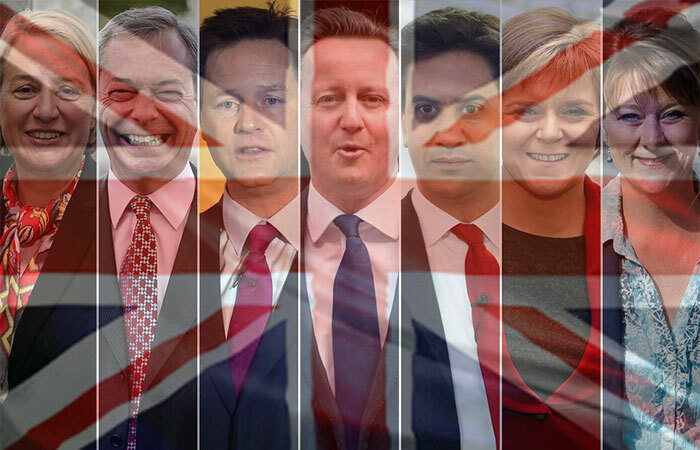 2015: UK Election year. One that could provide more surprises and upsets than the British electorate has ever seen: UKIP, the SNP, multiple party coalitions, sneaky deals and last minute scandal: it’s all possible, even probable. But before the result comes the vote, and politicians turn to ‘playground politics’ and the art of spin to influence the media. 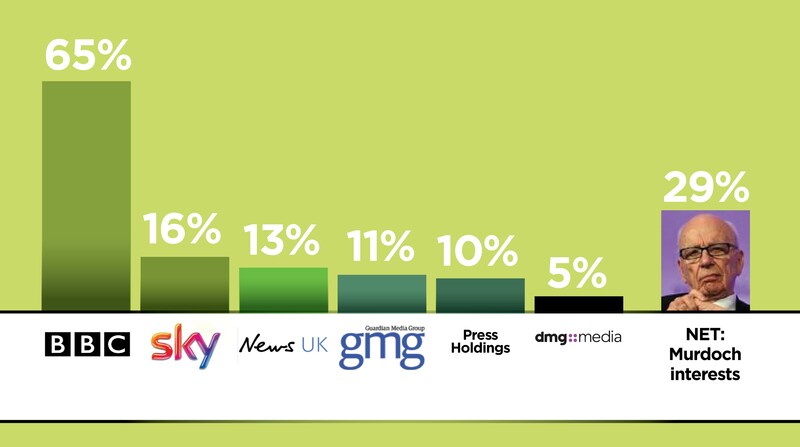 And while we’ve enjoyed seeing each party’s attempts to exert influence on the media, what do we know about which media has the most influence on them? 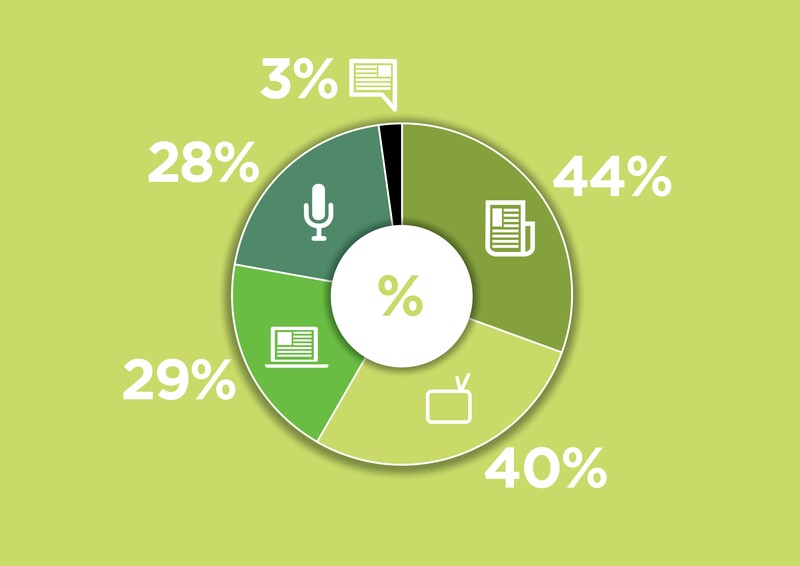 We asked a panel of 103 MPs: Which television programme, newspaper, radio programme or website is your favourite source of news?. True to form, few contained their answers to just one title. The BBC is by far MPs’ favourite media group – on TV, radio and online: The BBC can lay claim to being politicians’ favoured media group with two thirds (65%) citing an outlet from the beeb in their preferred sources of news. 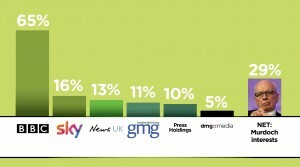 The multi-platform offering from Sky slips in as their number two (16%), with all of Murdoch’s interests racking up 29%. But tradition rules – and social they aren’t – when it comes to individual titles, those with a heritage in paper and ink fare far better than those from broadcast, online only or social media. Nearly half (44%) of MPs named a print title in their leading media outlets, compared to 40% TV; 29% online; and 28% radio. There’s also very little space for social: just 3%. No BuzzFeed, no Huffington Post, no MSN (and no Popbitch) – despite regularly making many of their pages and being hugely popular with the public, you won’t find these platforms in MPs’ internet histories. The Mail: A one way street. Wooed by left and right alike, it’s no secret that politicians want to influence The Mail. It runs one of the world’s most popular websites and has often been labelled the voice of ‘Middle England’. But it would appear that MPs are less keen in its content themselves, with only 1 in 20 saying it’s one of their first choices – although this figure does rise to 8% among Conservative MPs. Unsurprisingly, which titles they favour is dictated by the party they work for. Not one Conservative MP polled mentioned the Guardian or Channel 4 News – but they did seem to enjoy reading The Telegraph. Conversely, a quarter (24%) of Labour MPs mentioned the Guardian but weren’t as keen on the Telegraph (2%) or The Times (7%). 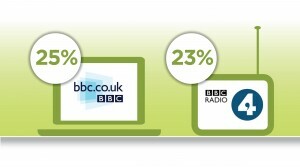 BBC Radio 4 misses out to BBC.co.uk as the single most popular station, title or website – by just 2%. 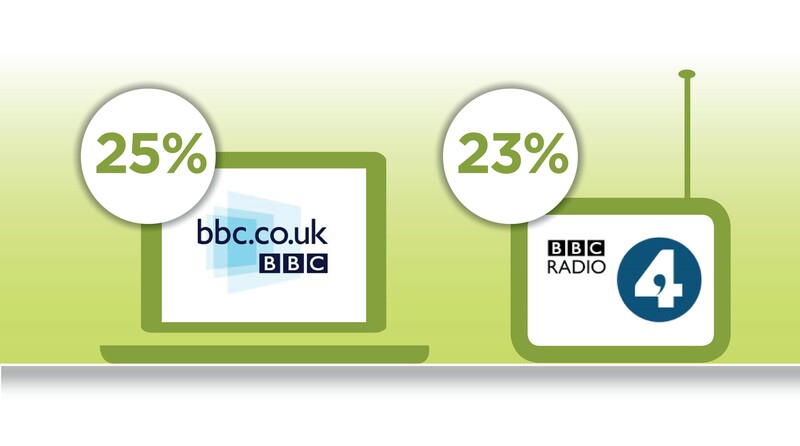 A quarter put the BBC News website in their favourite media with Radio 4 behind on 23%. It can often feel like it will only take our politicians to discover Netflix before we’re faced with politics of ‘House of Cards’ proportions – just look at the recent attention on Afzal Amin. But until that happens they’ll continue to use the media as their way of influencing the public en-mass. But while the public may consider many in politics to be ‘masters of spin’, it’s easier for us in PR to see that their efforts are far from being at the cutting edge of comms. Actually, when you think about how brave brands have to be in order to get their voices heard, compared to the approach taken by MPs, politicians seem positively archaic. This is perhaps the exception to the rule. It’s witty, clever, will reach wavering voters, and will work in their favour on May 7th. My good friend Gareth Morgan works at PA outfit, Cavendish Place Communications. He reckons the results of the poll reflect the fact that politicians view media output not just as something to be consumed but something to be fought over. Gareth says: “There is no getting away from the fact that the ‘Westminster village’ is pretty insular and that what matters to this world doesn’t necessarily matter to those outside the bubble. “This extends to the daily media relations ritual of battling to set the agenda and undermine your opponents’ similar efforts. 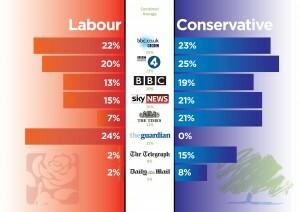 “The results of this survey show that MPs will focus more closely on the outlets where this battle is played out. “In part because of their innate political geek qualities but also because it matters to their careers. Populus interviewed 103 Members of Parliament on the Populus MP Panel in January and February 2015. Results were weighted to be politically representative of the House of Commons.